A one-vehicle accident on West Adams St. at around 7:30 this morning sent one person to Stones River Hospital for reported minor injuries. The cause of the accident appears to be icy road conditions. The vehicle, a Ford Sport Trac, was traveling north on West Adams when it went off the road, down an embankment, and rolled over. There was only one person in the vehicle, the female driver, who according to emergency radio traffic complained of neck and back pain. Patrolman Lowell Womack of the Woodbury Police Dept. worked the accident. 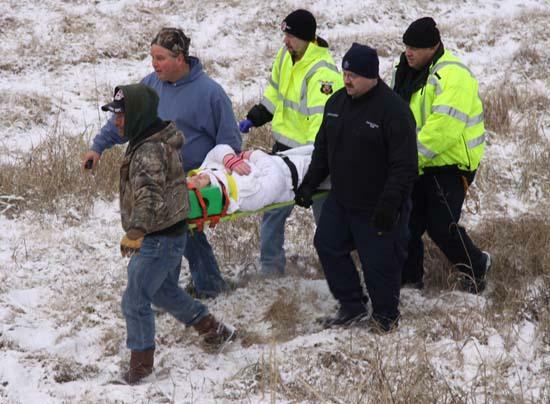 Cannon County Rescue Service and Cannon County Ambulance Service personnel also responded to the scene.